Ergonomics (Human Factors) studies the ‘fit’ between people, machines and their environment in order to improve performance, well-being, safety and health. 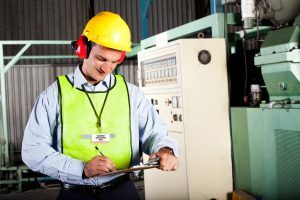 An ergonomic assessment offers a proactive approach to reduce the risk of error, injury or health issues with the added advantage of improving efficiency, performance, productivity and profit. Individual ergonomic assessments address in detail an individual worker’s requirements to improve health, comfort and productivity in the work place, when a medical condition has been diagnosed or where on-going symptoms are experienced. This type of assessment allows implementation of reasonable adjustments which are required under the disability provision of the Equality Act 2010 (This legislation replaced the Disability Discrimination Act (DDA)). Now that the Med3 ‘sick note’ is a ‘fit note’ (since April 2010) this type of assessment can assist in the process of returning an individual back to work after a period of illness. The above types of ergonomic assessment are suitable for small or large work areas.